Welding fume legislation change warning Manufacturers that operate with Mild Steel. The Health and Safety Executive have recently announced that there will be changes in legislation due to Multi-Fan Systems, a specialist in customised air movement, filtration and extraction systems, has raised concern on the importance to educate the industry on providing clean working environments. 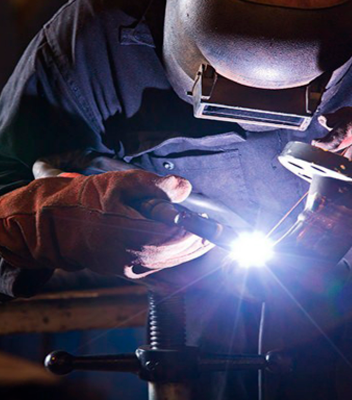 Recently, the International Agency for Research on Cancer, has suggested that Welding fume exposure, such as Mild Steel, can cause cancer, and even kidney cancer. The Health and Safety Executive took this information and will now be raising its enforcement expectations for all welding fumes, to give general ventilation the necessary control it requires. Chris Harper, General Manager at Telford-based Multi-Fan Systems explains, “Under the new HSE guidance, manufacturers who weld mild steel now have to put in place engineering controls for all indoor welding activities. HSE will no longer accept any welding undertaken without any suitable exposure control measures in place, as there is no known level of safe exposure’. Last year, around 4,000 workers were suffering with breathing problems, which were evidently caused or made worse by their work. The HSE is currently focusing on reducing the rate of occupational lung disease as a part of its ‘Go Home Healthy’ scheme. Make sure exposure to any welding fume released is controlled using engineering controls. Make sure suitable controls are provided for all welding activities, this includes welding outdoors. Where engineering controls alone cannot control exposure, then adequate and suitable RPE should be provided to control risk from any residual fume. Make sure all engineering controls are correctly used, suitably maintained and are subject to thorough examination and test where required. Make sure any RPE is subject to an RPE programme. An RPE programme encapsulates all the elements of RPE use you need to ensure that your RPE is effective in protecting the wearer.